I recently had a conversation with someone about assets, you know the house, car, substantial savings in the bank kind of assets. I was asked a rhetorical question of “so what do you have to show for all this travelling?” amidst a reeling conversation. I knew immediately that question was intended to be talking about material assets or assets of “apparent” “worth”. I tend to take a while to think things through, usually in the form of overthinking, and it wasn’t until I was out in the water days later that I solidified all the reasons why I do what I do. I was eventually able to answer in my own mind “what do I have to show for all this travelling”. I can be reckless and at times irresponsible with money. To be honest I’ve never really been good with it but I’m working on it- everyone has their weaknesses and I can safely say that money is mine. But you know what? I have assets, they’re just not visible to most people’s eyes. To surf for hours I need to fuel my body with the right kind of foods, therefore surfing goes hand in hand with a healthy diet. That’s why I choose to be vegetarian with the exception of seafood. I know if I follow a raw diet derived predominantly from nature I’m going to have a clean and long-lasting supply of energy, one very unique from the short energy burst that comes from sugar and other refined products. 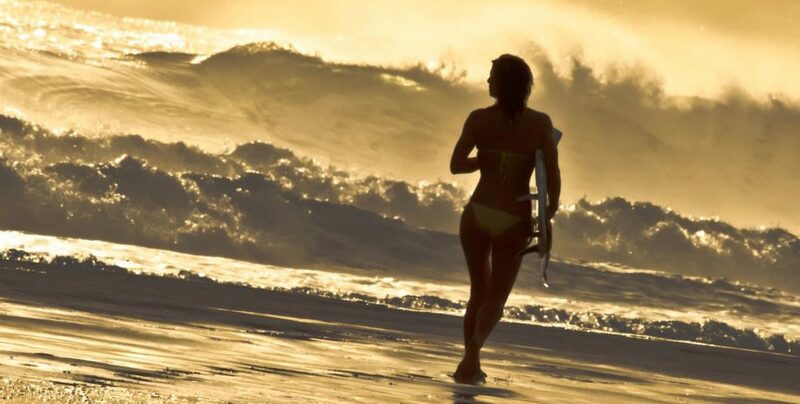 I see another powerful asset as the sheer experience of surfing perfect waves around the world. How could that not be an asset? It’s a surfer’s dream to be able to paddle lineups they have been drooling over for years (sometimes a lifetime) from their favourite surf movie or magazine. You simply can’t put a price tag on a perfect wave or a solid barrel, it’s something you cannot buy with paper money. When you find yourself in some foreign country, you get to experience cultures entirely different from your own and learn how to travel the right way (and the very wrong way). I can think of many people who would never leave the comfort zone and safety of “home” due to deeply embedded fears about travelling and it takes courage to make the leap. Sometimes travelling can be measured to a level of extreme survival (see my story here) which can be life changing and your perspective of the world will never be what it used to be prior to departure. Ka-ching, another asset in the bank. Ocean knowledge. Oh those days when it’s big and stormy and you’re very quickly put in your place up against mother nature. You’re an ant in a very big and wild arena. So many times I’ve thought of someone on land, one of those someones who live in a bubble, those someones who lead fake lives- I think of them and would love to place them in a situation against a big wave, shake them out of their shallow pretentious living and see how they would make it out alive- then see their viewpoints and values change entirely. Again-it’s all perspective. Basically, any “asset” such as a car, piece of expensive furniture or electronic device is going to de-value over time, sometimes very rapidly. However, all of the above assets are with you for life, or at least into your very old years as long as your memory serves you.